An integrated planning process that includes health care professionals from 2 or more professions. An integrated planning process that includes health care professionals who are reflective of the target audience members the activity is designed to address. An intent to achieve outcome(s) that reflect a change in skills, strategy, or performance of the health care team and/or patient outcomes. Reflection of 1 or more of the interprofessional competencies to include: values/ ethics, roles/ responsibilities, interprofessional communication, and/or teams/teamwork. An opportunity for learners to learn with, from, and about each other. All the recommendations involving healthcare in a CE activity must be based on evidence that is accepted within the profession as adequate justification for their indications and contraindications in the care of patients. All scientific research referred to, reported, or used in CE in support or justification of a patient care recommendation must conform to the generally accepted standards of experimental design, data collection, and analysis. Providers are not eligible for Joint Accreditation if they present activities that promote recommendations, treatment, or manners of practicing healthcare that are not within the definition of CE, or known to have risks or dangers that outweigh the benefits or known to be ineffective in the treatment of patients. An organization whose program of CE is devoted to advocacy of unscientific modalities of diagnosis or therapy is not eligible to apply for Joint Accreditation. Continuing education consists of educational activities, which serve to maintain, develop or increase the knowledge, skills, and professional performance, and relationships that a healthcare professional uses to provide services for patients, the public or the profession. The content of CE is that body of knowledge and skills generally recognized and accepted by the profession as within the basic healthcare sciences, the discipline of healthcare, and the provision of health care to the public. Accredited providers are responsible for validating the clinical content of CE activities that they provide. Learners must be informed when a CE activity is being offered by the jointly accredited provider through the use of the Joint Accreditation statement and the Joint Accreditation Mark. The statement may be included on education materials, marketing materials, and certificates. 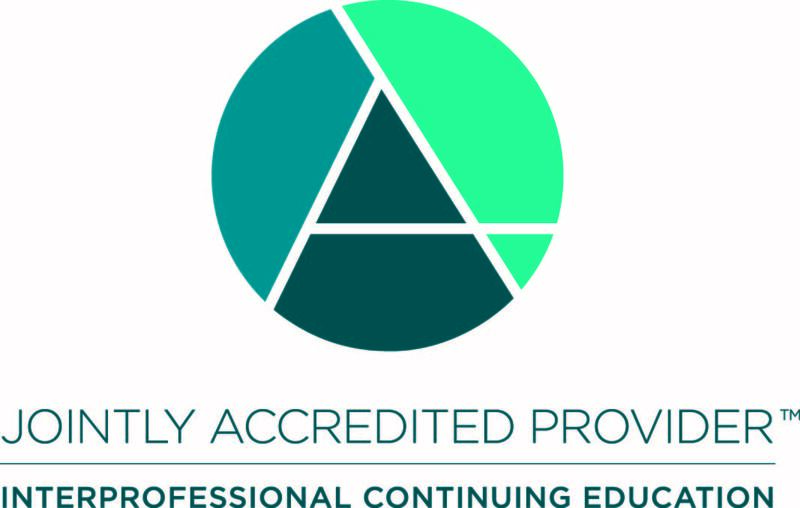 "In support of improving patient care, [Insert name of Joint Accredited Provider] is jointly accredited by the Accreditation Council for Continuing Medical Education (ACCME), the Accreditation Council for Pharmacy Education (ACPE), and the American Nurses Credentialing Center (ANCC), to provide continuing education for the healthcare team." "In support of improving patient care, this activity has been planned and implemented by ______ and ______. 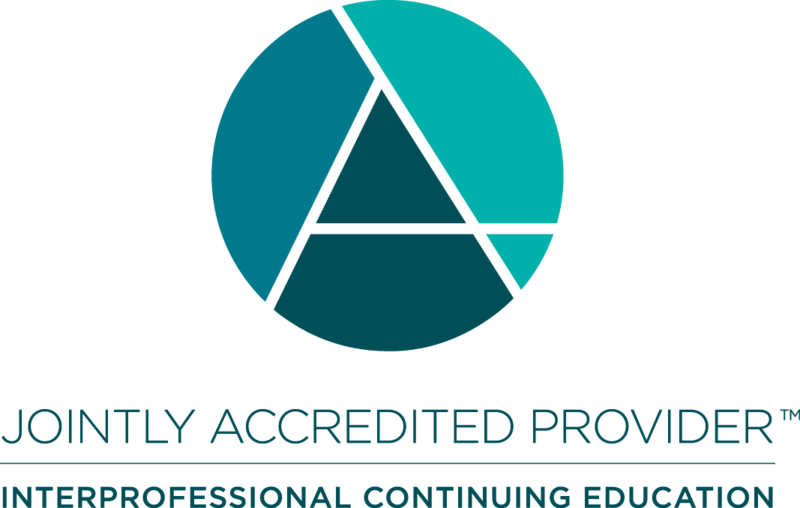 [Insert name of Joint Accredited Provider] is jointly accredited by the Accreditation Council for Continuing Medical Education (ACCME), the Accreditation Council for Pharmacy Education (ACPE), and the American Nurses Credentialing Center (ANCC), to provide continuing education for the healthcare team." The jointly accredited provider mark may be used for education and identification purposes. The mark may also be used in announcements related to an organization's attainment of joint accreditation. Download the jointly accredited provider mark. This mark is also available in higher resolution formats, black & white, and grayscale. Please email info@jointaccreditation.org if you would like to receive the mark in a different format. Activity files must be retained by the jointly accredited organization for 6 years following provision of the educational activity. An accredited provider must be able to verify participation of learners, when authorized by the learner, for no fewer than 6 years.